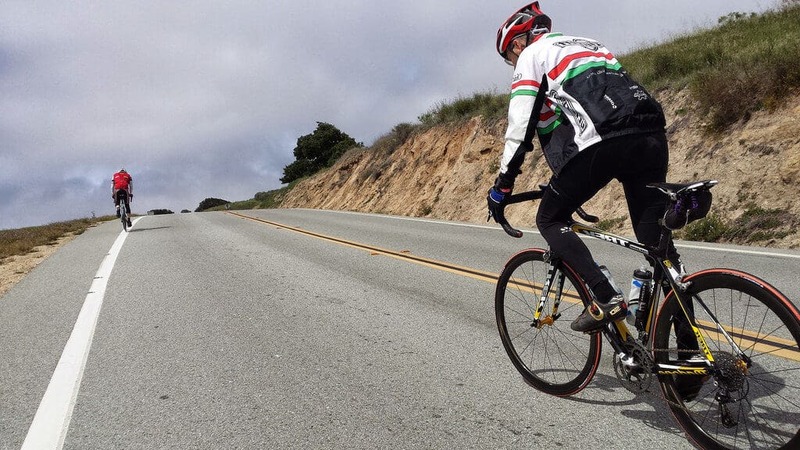 With enough mental strength and training, any cyclist can learn how to bike uphill. It is quite a struggle, indeed, when you are not prepared to face gravity pulling you back from achieving the top, and the skills required and produced by this kind of terrain. If you want to become an efficient climber, there are some things to take into consideration: technical skills for starters are essential, but so are willpower, cadence, and strength-to-weight issues. There are some matters to take into account so you can start acquiring the extra skills you need to cycle uphill. Perhaps the starting point should be your already-acquired skills. 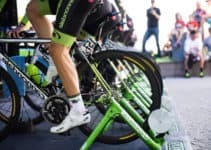 Shall you train at home with your bike trainer, you may start by doing some harder workouts, buy an adapter to give you extra resistance and prepare yourself for more difficult exercises. After all, you do not need to be a flatlander forever, do you? Sure, you could argue it would be easier to keep training inside, without all the weather difficulties one can find outside. Why would you leave your training room and your turbo trainer behind and take the great outdoors? Because of the experience you get, of course. Biking indoors can be the safest way to train, but it does not mimic the outdoor experience fully, so get your gear ready and start preparing to tackle the outside biking experience at its core, hills included. You must be prepared to experience soreness and dull pain, and you need to push yourself past them. Both of these are normal when it comes to high physical efforts. To conquer that hill, you must be prepared to deal with these kinds of pain, but cycling uphill requires you to put the maximum amount of pressure on your pedals, while also controlling the anaerobic part, setting it just below the threshold. What you should look for is the accumulation of lactic acid in your muscles, which causes a burning feeling in your legs. This feeling is a sign that you are going over your threshold and will result in intense pain and the inability to control your nerve impulses properly, in a short-circuit kind of sense. You must avoid this pain so you can achieve the peak efficiently. Do not focus on the pain, though, you need to deal with it as the cycling goes, as you know suffering is inevitable. The pain mentioned will decrease significantly when the top of the mountain is reachable by your sight. You know you are about to conquer it, all you need is to push a little harder, steady and stable, for a bit more. Your power output must be set at the edge of your pain, no more than that. One way to trick your body into thinking the pain is minor is to smile. Your brain associates smile as if you are experiencing something happy and pleasurable, so perhaps smiling while riding uphill is a great trick to use. Keep seated as much as you can and keep in mind that pain is temporary. With the right mindset you can achieve whatever you want, they say. 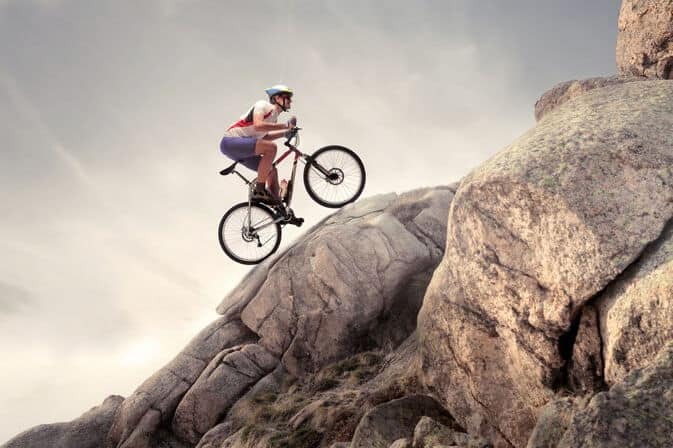 Well, climbing up hills with your bike requires precisely that: mental strength and willpower. You need these more than physical strength and leg power. You need to believe you can do it to be able to do it. You need to visualize the task you are willing to take, the hill you want to bike and match your goal with your mindset. Are you ready to push yourself into achieving the objective you set for yourself? Are you prepared to focus on obtaining the skills you need to climb that hill? You will soon, after setting your mind to the goal, after acknowledging the task you have ahead, and visualizing the first hill you want to conquer. 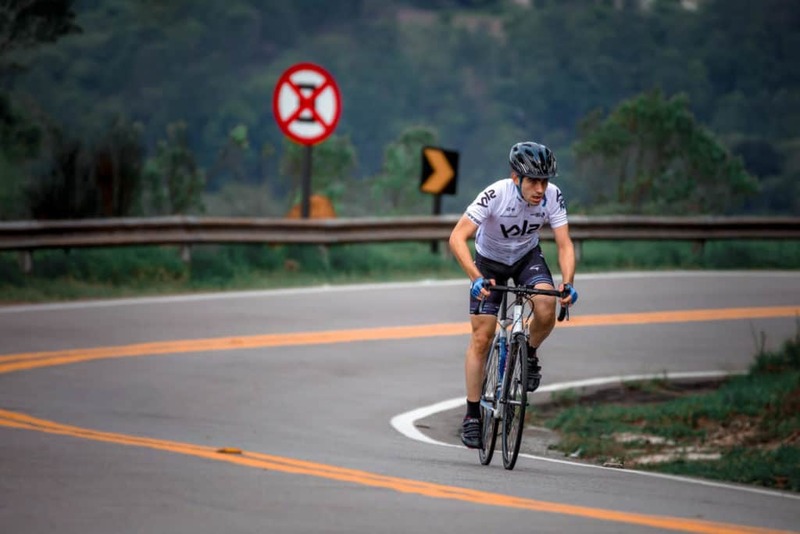 Your bike pedaling mentality must be set into orienting yourself into harder tasks, making them more comfortable for you by getting the right mindset to achieve not only the skills but the proper willpower and go-to attitude. You should focus yourself not on how hard it will be to bike up that hill, but to how you can do it. You need mental and emotional preparation. You know you will be sore, you know you may experience pain, but no pain no gain, and you will gain experience by cycling up that first hill. So make sure you arrive fresh to the hill base, make sure you are relaxed and ready and do not pay attention to any voice in your head telling you that you will not be able to do it. You must not arrive at the hill base already defeated; you must be confident enough to know you will be able to overcome the negative thoughts and approach the task with the right mindset. Lose that negative thinking, get that motivation you need and start training your mind and body in advance. Weight plays a great role in climbing hills, but big people can do so too. All you need is to control the weight-to-power ratio. 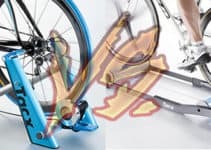 You may start by reducing the weight of your bike, as the climb is no more than you and your bike going against your weight and gravity itself. Replace the parts of your bike that can be substituted by lighter counterparts, such as the saddle, skewers, spokes, rims or even the wheels and tires themselves. You should also remove all unnecessary equipment. When it comes to you, you can increase aerobic power by being lighter. A good strength-to-weight ratio may be the key to success. Your times will get better too. Remember to have a nutritional advisor helping you to find your balance and necessary food intake. Divide power (watts) by weight and the larger the number you get, the better the results. Your ideal cadence may not be equal to another rider, but 90rpm is said to be the medium. Track your cadence with a sensor and be aware that the resistance you put your muscles through is adaptable to your needs: pick high resistance for short and hard efforts and lower resistance for endurance. Adjust your gear to low while standing and resist the urge to keep changing gears while on the climb. On a short climb, the method usually chosen is to do it standing up, in big gears and the focus is on recovery, so train accordingly in small hills until you achieve the skills you need. When it comes to long climbs, the training must be more intense. The recommendation is to train at intervals and start by short cycling uphill and then move to longer and longer ones along a year. You should tackle long climbs at least twice a year, always pushing yourself a bit further. Increase your cadence during training and go for steady to improve your aerobic system. It is easy to fall into a bad position when cycling up that hill, which affects your rhythm negatively, so make sure you position yourself with your elbows bent and a flat back, therefore lowering your center of gravity and supporting the core muscle power needed, while controlling the lactic acid accumulation. 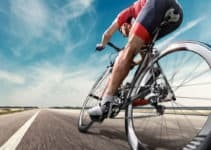 Keep the momentum, and you will be cycling correctly. You also need to focus on your task and keep yourself at the moment. Pace, don’t race, and do so with smooth strokes on your pedals, do not stop at the brow of the hill and start on the back. In a nutshell, here’s what you should pay attention to weight-to-power relation, nutrition, training according to the hill you aim for, which means cadence, the right gears, fueling and threshold and anaerobic training. Train your body, but your mental strength too. Focus on your goal, prepare yourself for the task you will face, keep your mind in the game and stay concentrated. Start slow and finish fast, they say, so pay attention to your pace. Do not look up until you know you can see the hilltop, as this will keep your head in the game and then provide you with the right motivation to keep on going until you reach the peek. Get to the right weight with the help of a nutrition specialist, strip your bike from extra weight, but do keep your heart monitor and an eye on cadence. Prepare yourself for the climb with appropriate training indoors and do not give up until you gather the skills to climb that mountain as you should. So do practice indoors in your turbo trainer with the resistance adjusted and cycle for the hills regularly to keep those skills in shape, and you should be good for any race that requires you to go uphill. Train your body, but train your brain too, and trick it into knowing it will cause pain but it is normal, and you can overcome it. Let it learn you need to be focused on your goal and then, just go.